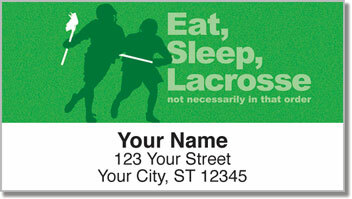 The man who invented the sport of basketball called Lacrosse "the best of all possible field games." It's quite popular in states on the East Coast, but more and more people are picking up Lacrosse sticks in the Midwest where it's the fastest growing sport! Celebrate an intense activity that was born on America soil where the Iroquois would play on fields that stretched for miles! 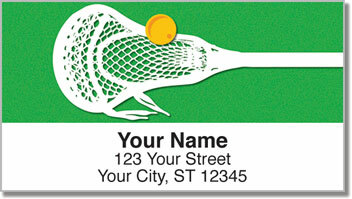 Lacrosse Address Labels from CheckAdvantage are an original design honoring an original sport! 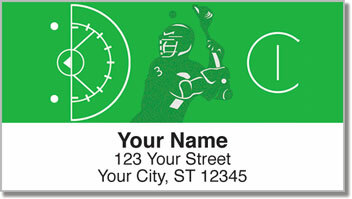 Use them to save time when preparing outgoing mail thanks to a self-adhesive backing. All you need to do is peel and place them on your letters and packages. 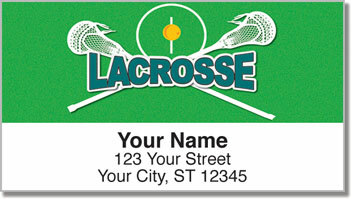 Get your own Lacrosse Address Labels now! Complete the order with matching personal checks!